June 2015 – On average, only half of travelers unpack their luggage at a hotel while on vacation or a business trip causing clothing and small items to become unorganized as they are rifled through each morning. Personal items like undergarments can quickly disappear among the chaos resulting in stress and delays. 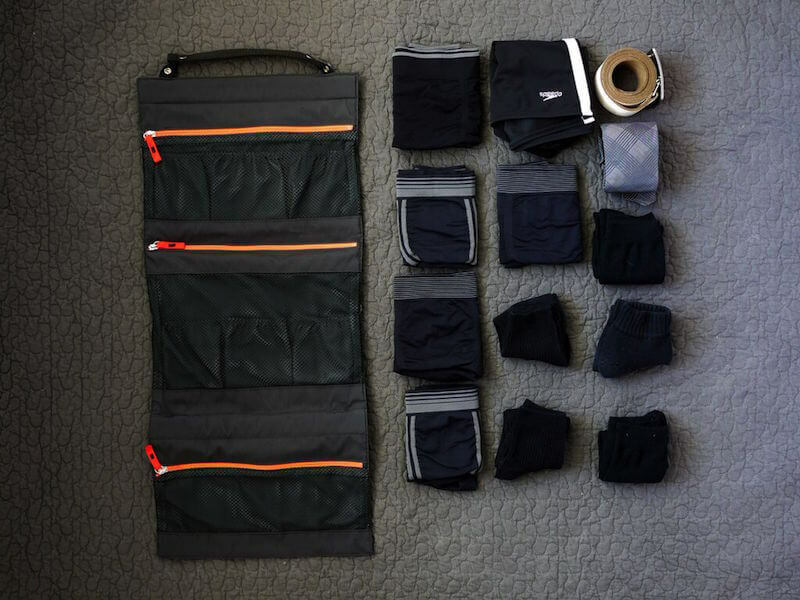 The new TUO ultimate travel undergarment organizer will allow travelers to organize their undergarments or small items neatly in a foldable bag which acts as a portable closet for their trip. 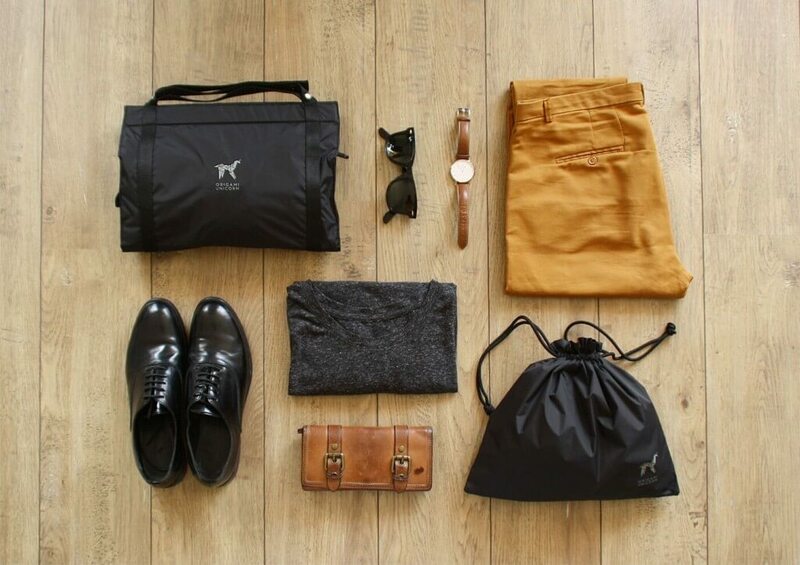 Launched on Kickstarter on July 21, 2015, the TUO is made of a water resistant nylon fabric and features three see-through mesh zippered compartments to pack and organize undergarments, accessories and small clothing items together. Its compact design helps save space in the suitcase, unfolds and features a detachable handle to hang it from the closet or towel bar to access items easily. There are also two sets of internal pockets to increase privacy and separation of smaller items and a mini dirty laundry bag with two pockets to help sort items as needed. When travelers are ready to leave the hotel, they simply need to fold the bag in thirds, snap the side buttons, and they’re ready to go. 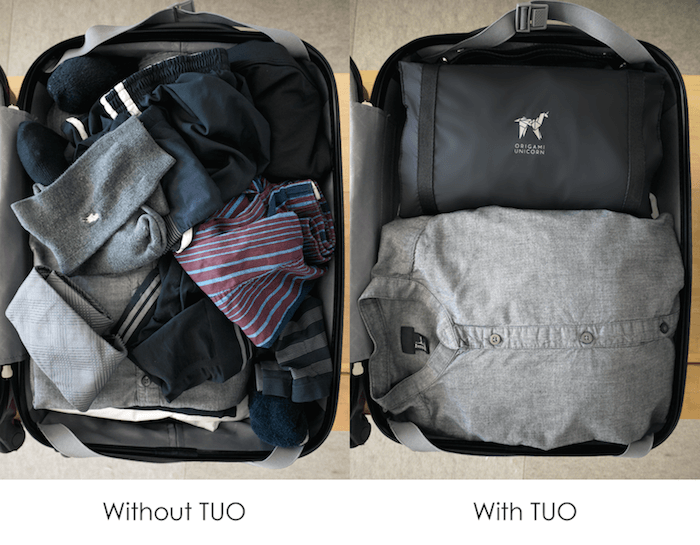 The TUO is an ideal solution when a family or a couple are sharing a suitcase to keep small clothing items organized as well as perfect for showering in a gym or spa locker room as it can be secured to the shower bar and keep clothing items dry and off the floor. In addition, it can help save the embarrassment of undergarments falling out of the suitcase in airport security or customs. Rolo was also started on Kickstarter, I bought one and I love it. It is a great way to organize your clothes.